Join us for our 7th Annual Kick Abuse at Kickapoo 5K Trail Run and Fun Walk on April 20, 2019. 100% of the proceeds help fund medical and social services to abused and neglected children in central Illinois. Come run or walk through the rolling fields and vineyards of the Kickapoo Creek Winery in Edwards, IL, just west of Peoria. Reminiscent of cross country runs, this race has a cross country start, and the course is almost entirely on grass and has a few rolling hills. REMINDER- DOGS ARE NOT ALLOWED ON THE RACE COURSE. THANK YOU! All participants 21+ will receive 3 FREE wine tastings from Kickapoo Creek Winery to enjoy after the Run/Walk. There will also be a brunch provided by Kickapoo Creek Winery for a minimal cost. 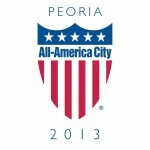 PACKET PICK-UP: Early packet pick up will be at Great Clips in Metro Centre in Peoria on April 19th from 4-7 pm or on event day at Kickapoo Creek Winery beginning at 7:30 a.m.